Home of the 1st World Air Games Parachuting Events. Jump above the ancient city of Ephesus and Aegean Sea. Open all year long. 12000 Feet & 4000 m.
Comfortable clothing is recommended. A jump suit will be worn over your clothing with goggles and headgear. All equipments wil be provided by our centre. Prior to the tandem jump, the participants are to assure that they do not have anyphysical and mental problems by signing an “UNDERTAKING”. Pre-payment amount is held by our agency and can be paid by bank transfer or credit card. Pre-paid reservations cancelled more than 24 hours prior to the scheduled pick-up time will be refunded. Cancellations made less than 24 hours prior to pick-up are not refundable. Pre-payment amount includes transfers from/to Selcuk. Not to cause any problems, the bookings must be done at least 2 days before. During high season (May-June-July-August-September), it is recommended that the bookings should be made at least 1 week before, due to the excessive load. We are unable to guarantee jumping on that day for those who do not have bookings. We would like to remind you that jumps can be cancelled due to weather conditions, special events or hitches. Please !!! 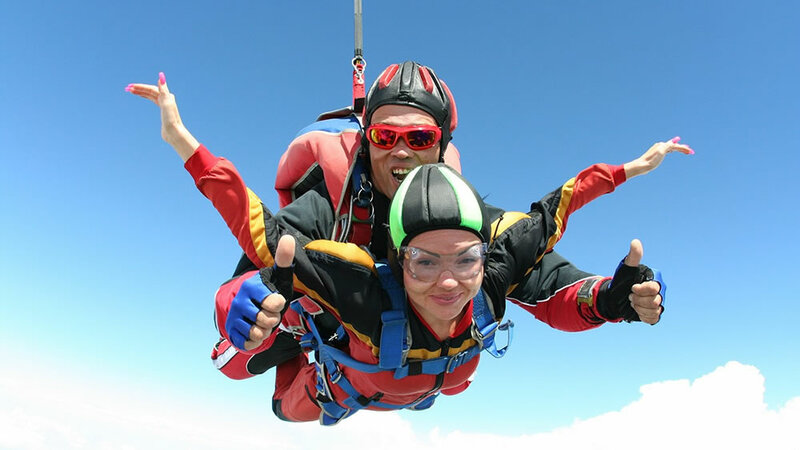 re-check with us a few day before you come to the skydiving center !!! Our agency do not accept any responsibility in these cases. And your pre-payment will be refunded.